The Hollywood actor is in London at the same time as the Royal Wedding, but he won't be in Windsor on Saturday. Robert De Niro won't be among the guests at Prince Harry and Meghan Markle's wedding this weekend. 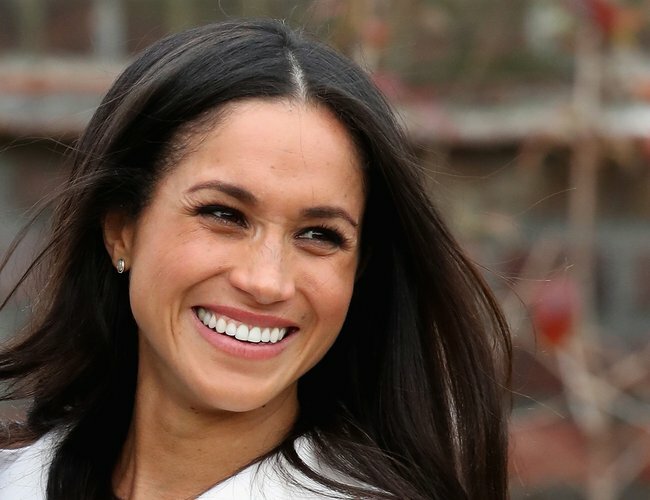 The royal bride-to-be, 36, is a fan of the Japanese restaurant brand, but she shouldn't expect to find a celebratory bottle of sake from owners Robert, Nobu Matsuhisa or Meir Teper nestled on the presents table. Hollywood star Robert, 74, attended a press conference at his restaurant brand’s latest opening in London today, but refused to discuss the forthcoming nuptials, with a rep insisting that today was purely about hotel business. And it's not just chucking a handful of confetti that is off the menu - Robert has also ruled out adding a “De Niro Nigiri” to the menu of the new Nobu Hotel in Shoreditch. 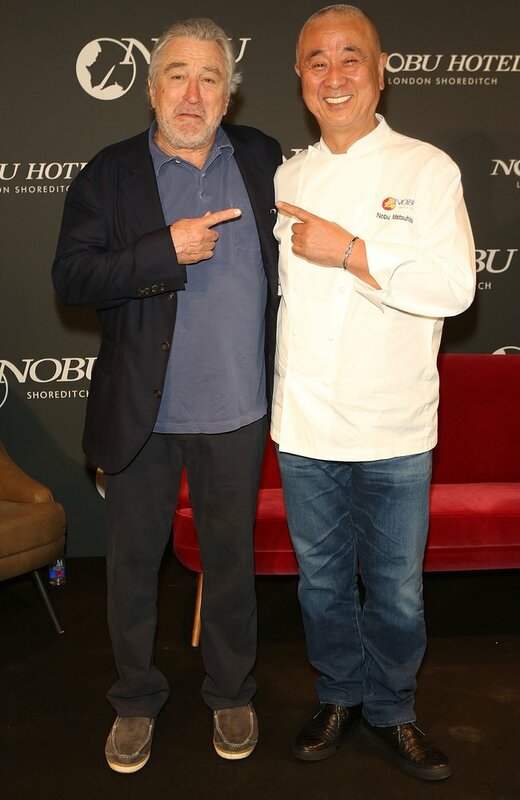 Flanked by chef Nobu Matsuhisa, 69, the Casino actor admitted he rarely eats anything other than his usual favourites unless prompted to by his Japanese business partner. He said: “I leave the food up to him. Chef Nobu, who set up his first restaurant with the Casino actor and film director Meir in 1993 added that while Japanese food started as a trend, people got so obsessed with it it’s become an international staple. However, one fad he is less enthusiastic about is vegan and gluten free food, which he has had to include on his menus even though he “hates” it. Robert added that it wasn’t just his famous name that has made Nobu such a global success. He said: "You can open a place and if doesn’t work it doesn’t work, it doesn't matter who you are. "People might come once but they won’t come back again." The £146-a-night Nobu Hotel was established after Robert, Nobu and Meir were inundated with requests to put their restaurant in hotels and apartment complexes across the world. Shoreditch is the brand’s eighth hotel opening, following similar ventures in Marbella, Palo Alto, Ibiza, Malibu, Manila, Las Vegas and Miami. With so much international travel under his belt, Robert has had plenty of experience of hotel rooms and believes he knows how to create the perfect space. He likened creating a good hotel room to making a movie, saying: "Do you want to walk in to that room or not? "I think the details are the things that can tell you if someone is cutting corners, or costs. "It's like a movie. You shrink things down, you cut corners and the movie ends up being less than it should be, and I feel the same about hotels." While it's unlikely that Meghan, 36, and Harry, 33, will be checking in to the new luxury hotel to check out Robert's bedroom visions in person any time soon, Meghan might be making a trip to the basement. Studio Lagree, who specialise in a very intense interpretation of pilates popular with the LA set, have just opened up a new gym there. Meghan was a regular at the brand's Toronto location when she was starring on Suits, and has described her sessions on the 'Megaformer' as "hands down the best thing you can do for your body." With so much pre-wedding stress on her plate, a 50 minute workout then a few cocktails upstairs on the Nobu terrace might be just the ticket.